As a leader in publically-subsidized senior housing, CCH has a large portfolio utilizing a variety of HUD programs including Section 202 Supportive Housing for the Elderly, to Section 236, HOME, HUD-insured loans, and Project Based Section 8 Rental Assistance. We have retained the deep affordability at aging properties while completing major rehabilitation. 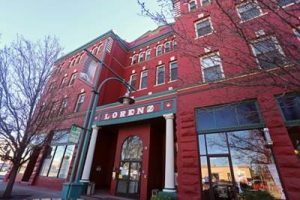 Additionally, we have successfully adapted to the regional funding environment by diversifying our portfolio of senior housing properties, Low-Income Housing Tax Credits, State Finance Agency programs, Affordable Housing Program Grants, and the tax exempt bonds. CCH has a strong track record of layering multiple funding programs together for acquisition, rehabilitation, and new construction of sustainable, deeply affordable, service-rich senior housing in California and other states, including Texas and Colorado. CCH recently was awarded the prestigious MetLife Award for Excellence in Affordable Housing for its Sierra Meadows property. This LEED Gold development was chosen based on the combination of its design and the resident-focused services that CCH provides. To date, CCH has completed all projects on time and on budget. CCH began its working relationship with HUD in 1962 when it applied for a HUD Section 202 loan to build Garfield Park Village in Santa Cruz, CA. Since that time, CCH has had an extensive relationship with HUD for both the development and management of HUD subsidized properties. Because we are an Oakland based organization working predominantly in Northern California, CCH has a strong working relationship with both the San Francisco Multifamily HUB staff, like Angela Corcoan, as well as Washington DC staff at the Office of Recapitalization. The Secretary of the Department of Housing and Urban Development has expressed its concern that literally hundreds of thousands of units of existing HUD subsidized housing build in the 1960s and 70s is at risk of losing its affordability as regulatory agreements attached to its loans begin to expire. CCH is working collaboratively with multiple HUD multifamily and Public Housing HUBs across the country to preserve several projects which include several hundred units of senior housing. CCH leads conference sessions with other housing professionals and HUD staff to educate the industry about their preservation programs. 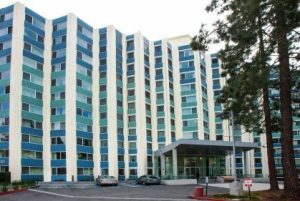 CCH is constantly seeking senior housing preservation opportunities in California and across the country. CCH has a strong track record of layering multiple funding programs together to build new and rehabilitate existing affordable senior housing. The vast majority of our real estate development activity includes at least three difference funding sources. Most recently those include HUD, Low-Income Housing Tax Credits, and Tax-exempt bonds. In addition, CCH uses HOME program funds, State funds, seller financing, Affordable Housing Program funds and private philanthropy to balance capital budget shortfalls when HUD and LIHTC are not enough. CCH Housing Development, Property Management, Compliance and Accounting staff work closely together to ensure accurate compliance and reporting for all of the program funds and their corresponding agencies. CCH works with local jurisdictions and the state to secure HOME funds for gap financing in over 30% of the properties developed. CCH has strong working relationships with all of our HOME partners. CCH works with cities to secure CDBG funds for properties in development, and for properties in need of critical repairs. CCH has worked with local jurisdictions to secure redevelopment funds for gap financing in over 50% of the properties developed. 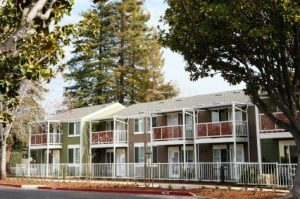 CCH works with the State of California’s department of Housing and Community Development in funding projects with California Housing Rehabilitation Program, MHP, and Proposition 1C funds, including the use of Transit Oriented Development funds. CCH works with Cal HFA to redevelop provide acquisition capital for the preservation of aging senior housing. In January 2009, CCH made a formal commitment to environmental sustainability by launching the CCH Green Communities Initiative, a three-phased approach to transforming how we do business. The CCH Green Communities Initiative affects our four main areas of influence: Property Management, Housing Development, Social Services, and Corporate Administration. In addition to the Green Communities Initiative, CCH has Design Standards that address the accessibility, durability and sustainability performance standard of every project. Sierra Meadows, Visalia, is CCH’s first LEED Gold HUD 202 new construction project. 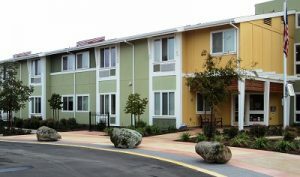 It provides 43 units of senior housing in an environmentally friendly building that performs 30% better than California’s rigorous Title 24 Energy Code and participated in the California Multifamily New Homes program. 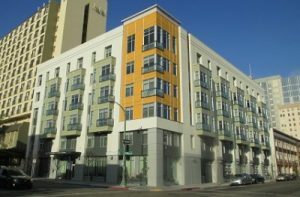 Harrison Street Senior Housing, in Oakland, California, is a Transit-Oriented Development (TOD) and a brownfield redevelopment in the heart of downtown Oakland. This project has an energy efficient design, and is participating in the Build It Green GreenPoint Rated program and the California Multifamily New Homes program. CCH continues to keep up with the building industry in its capacity to implement green building materials and systems, along with overall sustainable housing design strategies, in all our projects. CCH fully supports the concept of “Aging in Place” which is the idea that a provider needs to provide not only housing, but services appropriate to each population served to address the root causes of homelessness in America. CCH’s Service Coordination Program reflects an organization-wide commitment to enabling seniors to Age in Place, avoiding costly, unwanted, and often premature institutionalization. 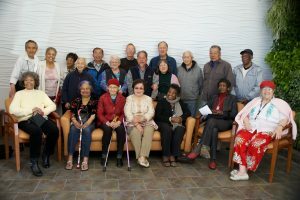 CCH employs a team of over 40 dedicated on-site Service Coordinators whose role is to link seniors with a wide array of supportive service providers. CCH Service Coordinators report that over 65% of the seniors in CCH facilities require some type of social service assistance. In response to this growing need, Service Coordinators spend the vast majority of their working hours in direct service to residents and make more than 60,000 contacts every 6 months with agencies serving senior residents. Through our Service Coordination programs, CCH personnel maintain a vast storehouse of information and a network of contacts with agencies and organizations offering vital, no-cost or reduced-cost supportive services to low-income seniors, including those who are frail or at-risk, as well as to minorities and the disabled. In addition to Service Coordination, CCH staff provide a continuous calendar of social, recreational, educational, and cultural events at each CCH-managed apartment complex. Programmed events range from English instruction classes, to exercise classes, to coffee and donuts, to the more familiar movie and bingo nights. We would love to hear from you. If you are interested in more information or have any specific questions, please complete and submit the contact form below. Please allow 24 to 48 hours for a response.